Recently, we held a one-day seminar at Taishodo acupuncture clinic. 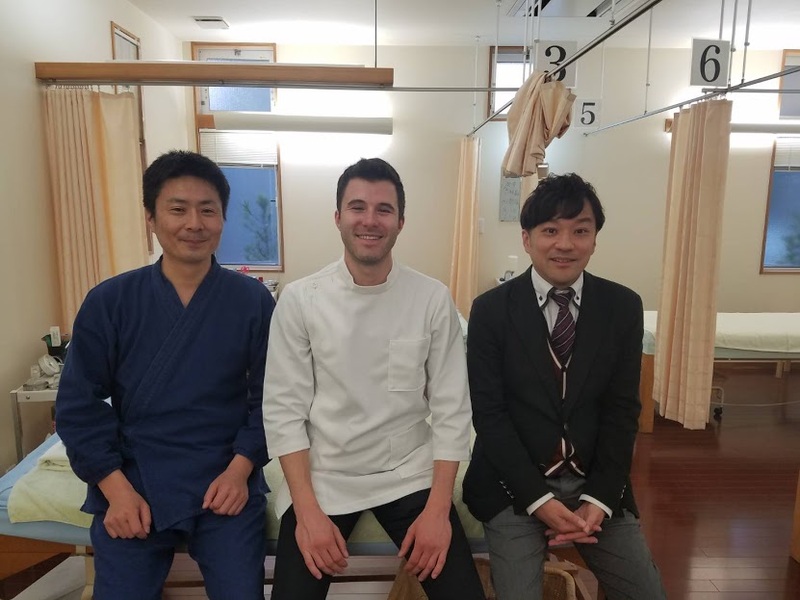 We had a student named Zach Olesinski who's Canadian, and he works as acupuncturist. 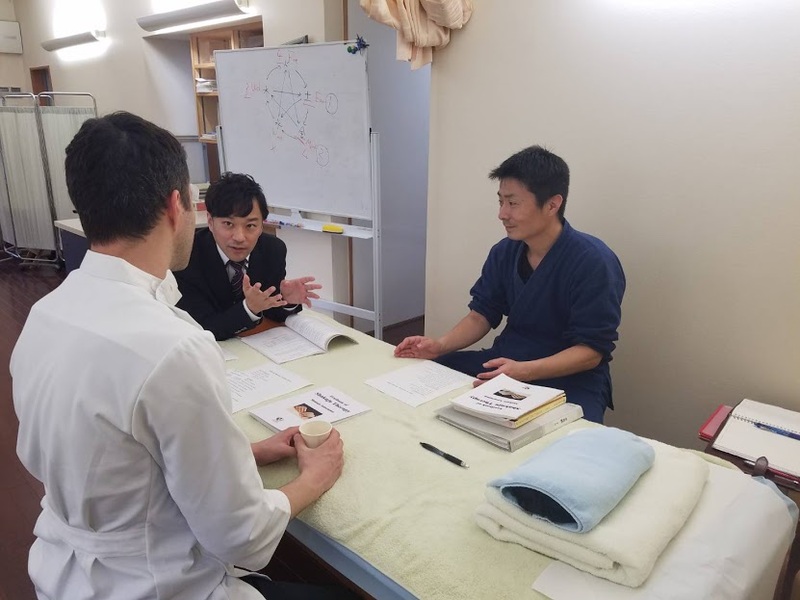 He had interested in japanese acupuncture and happened to have a chance to read "Acupuncture Core Therapy" written by Shoji Kobayashi. Well, the seminar had a lecture & practice from 10a.m. to 5:30p.m.. 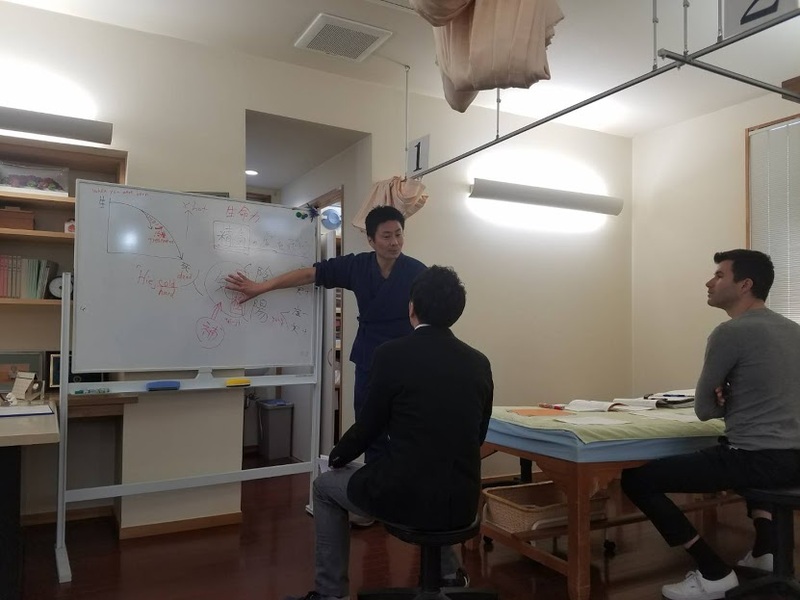 The seminar went on while making sure each time if he've understood everything. Whenever he had a question, he was able to ask on the spot. That was one of advantages one-on-one seminar. He had already read "Acupuncture Core Therapy" thoroughly so his questions were to the point. He also asked some questions from a clinical point of view. 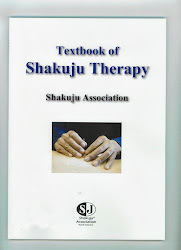 It seems he was able to get a deeper understanding of Shakuju Therapy in the end. I'm sure he will take advantage of what he learned this time to be a better acupuncturist and hopefully more and more people in Canada will be interested in Shakuju Therapy. When I'm in situation like this, I feel shakuju therapy is spreading step by step beyond the sea and I'm glad with it truly. Also, I was very impressed by his enthusiasm to learn something new. I would feel too shy to contact an unknown organization in a foreign country and ask them to hold a seminar for me. His braveness made it happen! We had a long but productive day.